My fourth half marathon is now in the books! 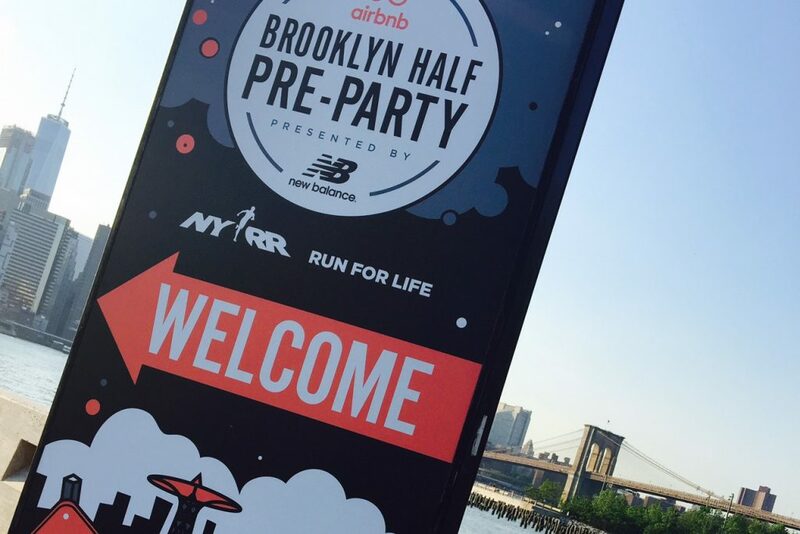 Earlier this month, I completed the Airbnb Brooklyn Half Marathon on Saturday, May 20th along with 27,440 finishers, making it the biggest half marathon in the country. This race is known to be a crowd favorite for many runners, which explains why it sold out in a record time of 26 minutes. I’d love to share the challenges I experienced leading up to the race and what it was like to run the biggest half in the nation. 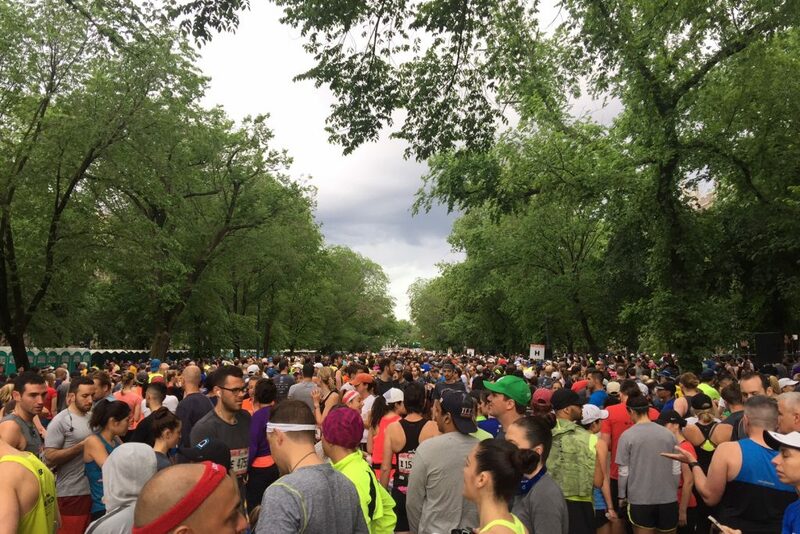 27,440 runners waiting to begin! The training leading up to this race was anything but easy. I mean, is it ever? Unlike my previous half marathons, I felt extra pressure because it is the biggest one in the country. I had my sights set on breaking a 1:55:00 time. 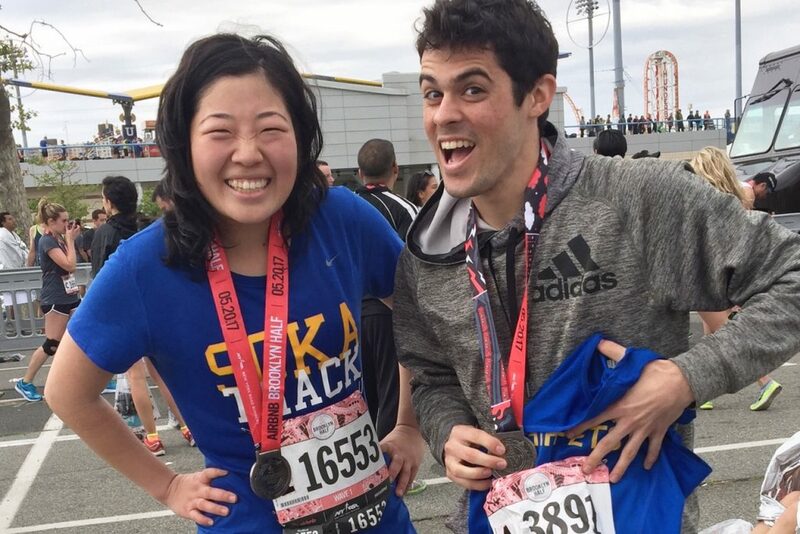 I shocked myself at the United Airlines NYC Half back in March when I ran a sub-2 time at 1:57:37. It wasn’t that I didn’t have confidence in my training because I did. It was fear. I knew that I could run a sub-2 half marathon but that would set high expectations for the next ones to follow. I don’t think I was physically and mentally prepared for that and craved the easier path instead. On the flip side, I can be extremely egotistical so I don’t like admitting that I could have done better. When I was an athlete during my undergraduate years, my coaches taught me to always give it my best. 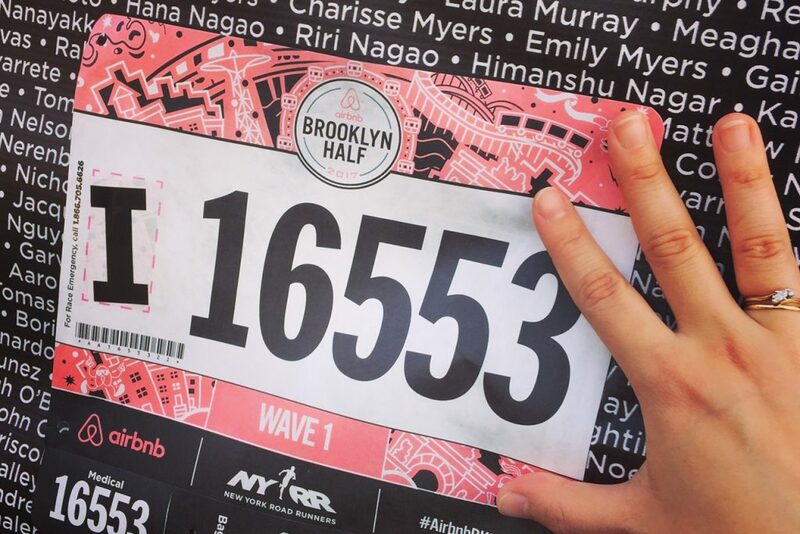 I made it a goal to use the Airbnb Brooklyn Half Marathon as an opportunity to further challenge my limitations and aimed to break 1:55:00. Plus, the weather during this time of the year is perfect for a half marathon so I just had to take advantage. To put this into context, racing a sub-1:55 time would mean that my average pace would have to be at 8:46 per mile. That sounds insane and a little bit scary. Last year, I didn’t even run any of the 5Ks in less than 8:50 per mile. Now, I’m asking myself to run more than four times the distance at a faster speed? I must be crazy. But I have also been training a lot and the thought of that didn’t sound impossible. Scary, but doable. I was ready to put my training to the test. The last half marathon I ran was the SHAPE Women’s Half Marathon on Sunday, April 30th, three weeks before this one. I used this as a test by treating it like a tempo run. I wanted to figure out a comfortable rhythm when it comes to getting those negative splits down. It’s incredibly challenging to get it right because the taper makes me anxious. My first instinct is to get rid of all the energy bubbling inside of me rather than to save it for when it matters. For the SHAPE half, I started easy and still had a full tank of gas at the halfway point. That test was successful since I got a PR of 1:56:17 at about 90% of my full effort. Not to mention, I climbed Harlem Hill in Central Park twice. It was brutal but I did it. The Brooklyn Half would be my third half marathon of the year and fourth overall. Going into this, I wanted to make a conscious effort to overcome one particular challenge that I have been dealing with. In the past, regardless of the distance I race, I have the tendency to go hard only when it’s convenient for me and fall into pockets of slower running speeds when I’m tired. I think a lot of runners do. But it costs me a lot of time and holds me back from getting the PRs I train hard for. I want to push through those moments of fatigue and continue to drop my time. Little did I know that this would actually be a psychological struggle rather than a physical one. People often talk about how running is more of a mental sport than physical. This is painfully true but it’s still hard to process because running requires a lot of physical strength and endurance. But at the same time, it also requires strategy and a firm sense of self-awareness. It’s not a simple task of telling yourself to keep pushing when the going gets rough. It’s not about neglecting the physical training and teaching yourself positive self-talk. It’s really scary how running surfaces my deepest fears and insecurities – not just about staying fit but also in life and that’s what makes this sport a mental challenge. On race day, I woke up at 4:00am and told myself that I should go out there and have fun with it. It was a race that I have been looking forward to for six months and simply wanted to enjoy the experience of running through this eclectic borough. I needed to take that pressure off my shoulders and put full trust in my training. I was sick leading up to the race (I had a fever the week before) and was afraid that I might not be physically capable of putting in my full effort. But I didn’t let that stop me. I was ready to go steady and hard and challenge any temptations of slowing down when I felt like it. My strategy was to race the first half of at tempo pace. I followed the 2:00:00 finishing pacer (or 9:09/mile) for the first part and kept my starting splits slower but consistent. I also didn’t grab water as often, especially when I didn’t feel the need for it since it really slows me down. As soon as I hit mile 7, I gulped down a cup of water with my energy goo. It was a good time to start picking up the pace. I still felt remarkably fresh and knew that I could deliver those negative splits again. After passing the pacer, I made my way down to the 8:35 to 8:20 territory for the second half of the race, still feeling like I had some gas left in the tank for the final stretch. Yes, this is what misery + determination looks like! 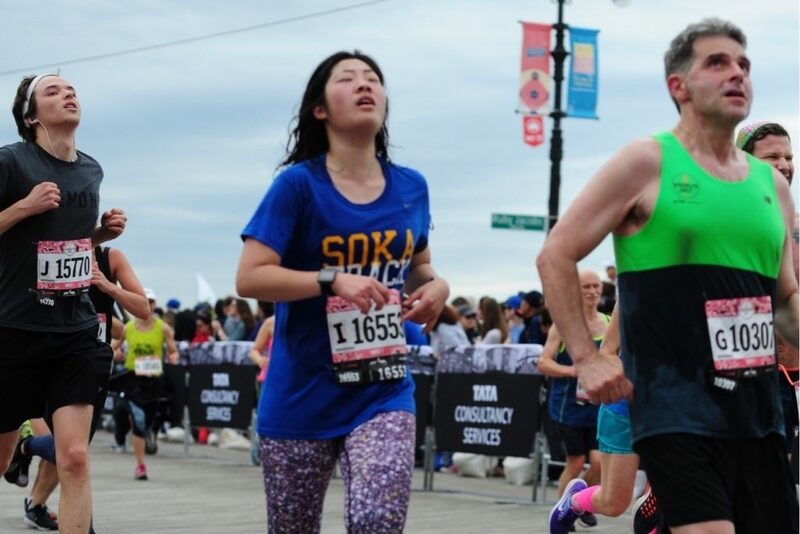 The course for the Brooklyn Half is one of those things that runners love and hate. It was great that the first half was in and out of Prospect Park and the hills happened when I wasn’t racing at my top speed. But as soon as I left Prospect Park and got on Oceanside Parkway, it was almost 6 miles of running in one straight line. Take a look at my Strava activity here – the map shows it all. This can be a downfall, especially when the course isn’t scenic and there are very little distractions. Running in a straight line can be a massive mental drain because every pain experienced in the body is boldly pronounced. Despite this barrier, I kept my splits pretty consistent and I’m proud of that. Around the final 800 meter mark, I started sprinting. By then, I didn’t have much fuel but knowing that it was almost over, I used what was left to give my all. I looked down at my watch and saw that how I would run my last 800 meters was going to be the ultimate battle in finishing with a sub-1:55 time. Once I got on that Coney Island boardwalk, I held nothing back. I had a great race up until that point and I ran as hard as I could through the finish line to celebrate. My finishing time was 1:55:24. I didn’t break 1:55:00 but it was still a phenomenal PR – I raced at an average pace of 8:49 per mile! That’s faster than my 5K pace last year. Looking back, I can see that I’ve come a long way but it’s just the beginning. Challenging my potential through running has surprised me in more ways than I imagined. 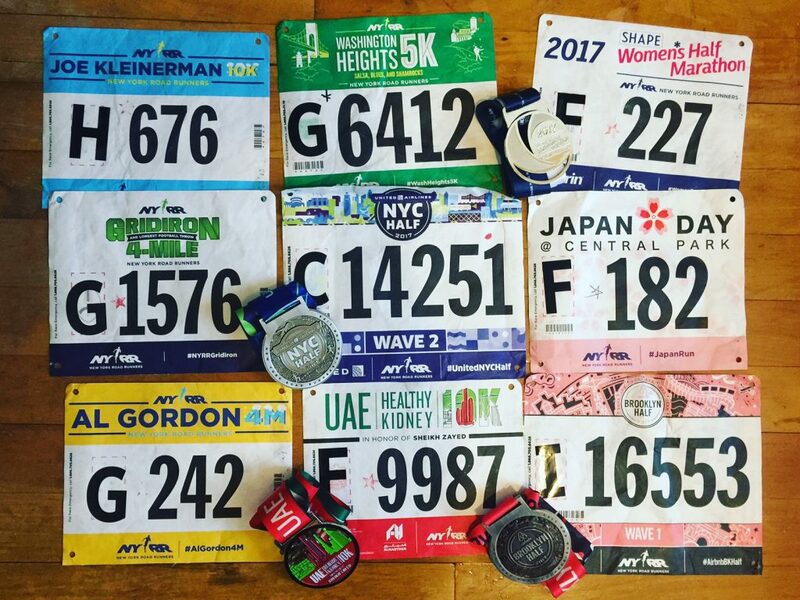 When I ran my first ever half in Staten Island last year, I finished with a time of 2:13:39, thinking that a sub-2 half marathon would be a long shot. I didn’t even think I’d finish a half marathon then but I proved to myself that I could do three half marathons consecutively in three months, keep it under two hours and consistently drop my time. Each half marathon I crush is giving me the confidence that I’ll do well in November when I make my marathon debut. Racing is always better with teammates! In addition, this race was my final qualifier for the TCS New York City Marathon for next year! While the second time around doesn’t feel quite as dramatic, it feels a lot more fulfilling. Last year, my qualifier race for 2017 was the Poland Spring Marathon Kickoff (5M) race and that was when I fell into a running slump (I talk about that here). While qualifying felt great, it wasn’t as big of a win as I had hoped. This year, however, I felt like I was able to reclaim the joy I didn’t get. I put more effort this time around and challenged myself after seeing what I could do. On top of that, this is my second race in the Five Borough Series. Not too bad in terms of what I’ve managed to accomplish for being only five months into the year. My next 13.1 isn’t for another five months. I’ll be back at it again with the NYRR Staten Island Half in October later this year. I really hope that I would never have to race in the kind of weather I encountered last year again. It was partially my fault for racing in shorts and a t-shirt when they anticipated bad weather but I didn’t know it would be that terrible. I don’t know what my next reasonable goal would be but I plan to set one soon. I’ll still aim to break 1:55:00 but if I train for another five months, I could definitely do better. Racing is always a challenge but it’s also a party and I felt like this half marathon was one of the best 13.1 mile parties I’ve been a part of. When I ran my first half, I was still terrified of distance races. The more half marathons I do, however, the more comfortable I am with the thought of completing the full marathon in November. People say that nothing will prepare me for it and that it’s nothing like “two half marathons.” As long as I get to the starting line, I’m good.